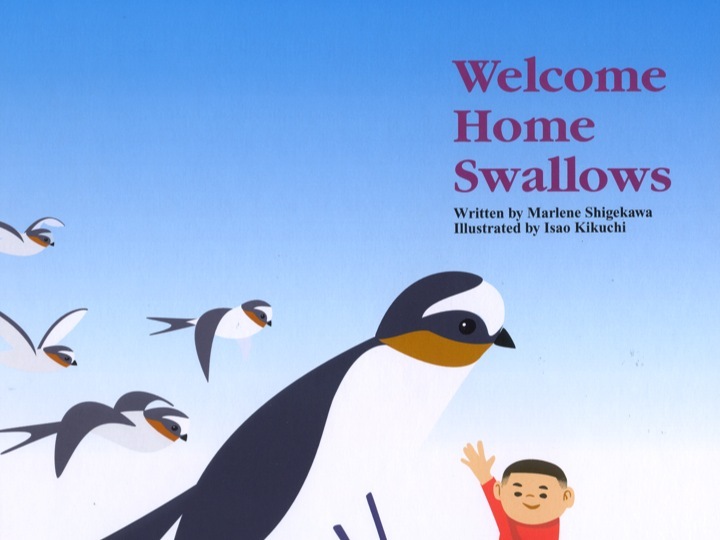 Hi, I’m Marlene Shigekawa, the producer of For the Sake of the Children. 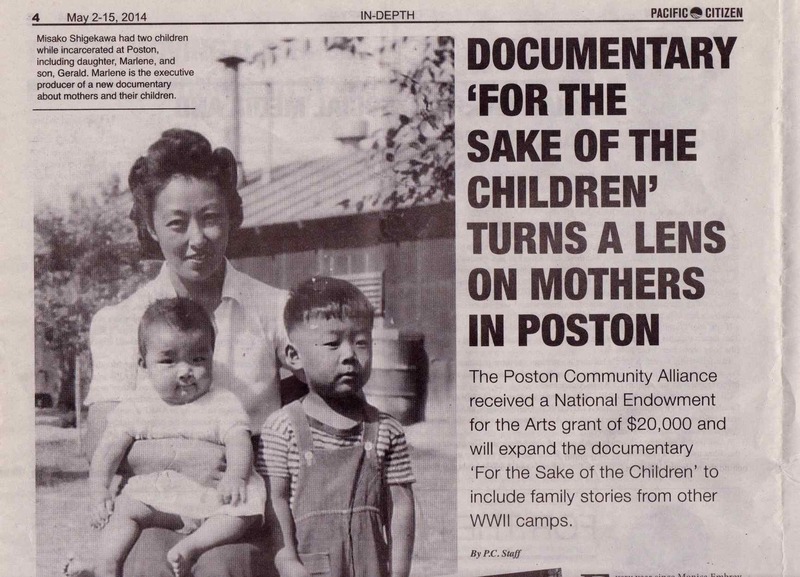 With a grant from the National Park Service, Japanese American Confinement Sites Grant Program, we began production with Fly on the Wall Productions in 2012. Since then we have covered a lot of territory both physically and emotionally. 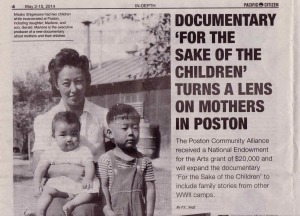 We started uncovering the stories of mothers who gave birth to and raised children while incarcerated and have discovered stories from four generations of descendants. With a grant awarded in May 2104 from the National Endowment for the Arts, we are able to lengthen our film to a one-hour documentary. We continue to locate third and fourth generation descendants with amazing stories to share. The photos in the collage above were taken at the Heart Mountain Pilgrimage on August 23, 2014. Pictured filmmakers include, Joe Fox (Director) and Sean Dolan (Videographer). 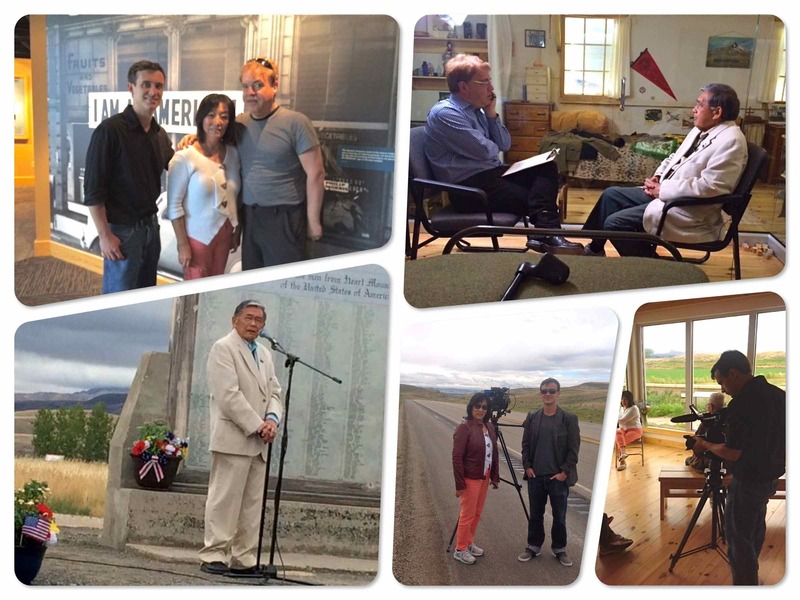 We were honored to be able to interview and film former Secretary of Transportation, Norm Mineta. I also felt privileged to do a book reading of my children’s book – Welcome Home Swallows – at part of the Manzanar Pilgrimage events.